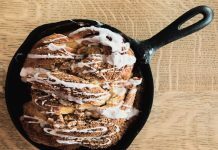 Located in the heart of Burgundy, celebrated American-owned cooking school The Cook’s Atelier bakes up classic French recipes and shares their knowledge with travelers from far and wide who come to take their classes. 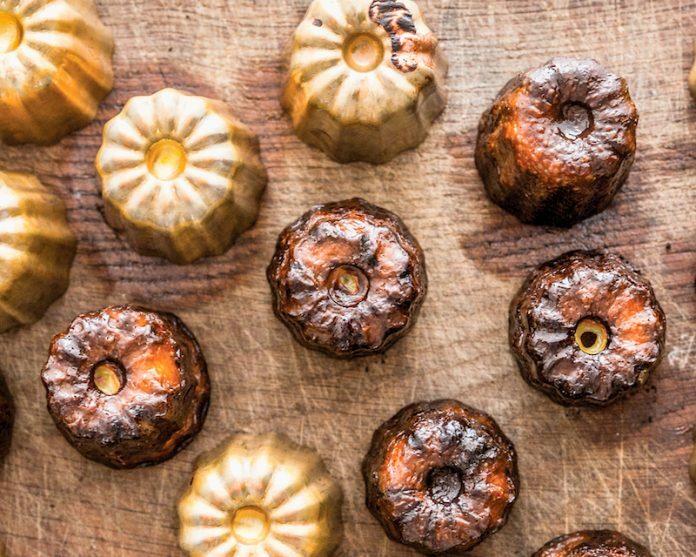 These canelés are one of our favorite recipes from The Cook’s Atelier! Canelés are a traditional pastry from the Bordeaux region of France and are baked in little copper molds specific to this pastry. The outside of the pastry is nicely browned and caramelized, and the inside remains soft and custard-like. They are best when eaten the day they are made. Read more about The Cook’s Atelier and find more of their classic recipes in our March/April 2019 issue! Want to learn French baking firsthand from The Cook’s Atelier? 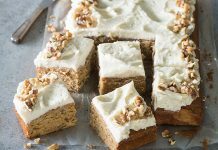 Don’t miss our baking retreat to France! Not only will you take baking classes in Paris at La Cuisine Paris, you’ll also travel to Beaune for two days of classes at The Cook’s Atelier! If that isn’t enough to make you book right away, our Parisian bakery tour with Lindsey Tramuta, cake decorating demonstration with Frank Barron of Cake Boy Paris, and an exclusive apéritif with Dorie Greenspan will! Reserve your spot today! In a small saucepan, combine the milk, butter, and vanilla bean. Bring to a simmer and turn off the heat and let stand so the flavors meld, 15 minutes. In a large bowl, whisk the eggs and yolks. Add the sugar and salt and continue whisking until incorporated. Add the rum and sift the flour over the mixture, whisking to combine. Add the milk mixture and continue whisking until well combined. Let the batter come to room temperature before placing in the refrigerator. Chill for a minimum of 24 hours and up to 48 hours. When ready to bake, remove the batter from the refrigerator and stir the batter as it will have separated. Try not to incorporate too much air in the batter. Return to the refrigerator until ready to bake. Coat the inside of 12 canelé molds with Clarified Butter. Set the molds upside down to allow any excess butter to run off. Place the molds in the freezer to let rest for at least 1 hour before baking. Preheat the oven to 375°F (190°C). Line a sheet pan with aluminum foil and place in the oven to preheat. 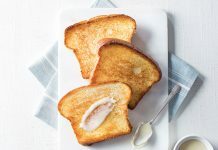 Remove the chilled molds from the freezer and fill each mold three-fourths of the way full with the chilled batter and place on the preheated sheet pan. Place the sheet pan in the oven. After 20 minutes, check that the batter is not bubbling over the molds. If so, take the pan out of the oven and let the batter settle for a few moments and then return to the oven. Continue to bake and turn the sheet pan every 15 minutes to ensure even baking. The canelés will be fully baked in approximately 1 hour and 10 minutes. The canelés are done when the sides are caramelized and the interiors are still soft. Once baked, remove the canelés from the molds while they are still hot and let cool. They will firm up as they cool. *You can also use ghee. In a small saucepan, melt the butter over low heat. Remove from the heat and let it stand for 3 to 4 minutes to settle. Using a small spoon, remove the white foam from the surface. Gently pour off the clear yellow butter into a glass jar, leaving the white solids in the bottom of the saucepan. Let cool, then store in an airtight container in the refrigerator; the Clarified Butter will keep for at least 1 month.